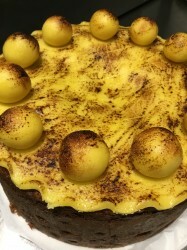 Join us on Monday 1st April as we celebrate our 25th birthday. We set sail at 7am on 1st April 1994 & would you to come & celebrate with us today. 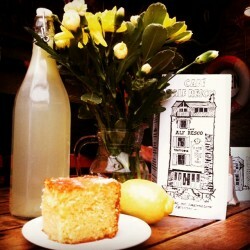 We’ll have bubbles, cake, our original breakfast menu at 1994 prices & lots of lovely treats for you! 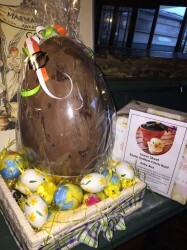 Pick up an entry form from Alf’s or Pillars, for your chance to win a giant chocolate egg, handcrafted by Saveurs of Dartmouth. Hunt finishes on 23rd April. 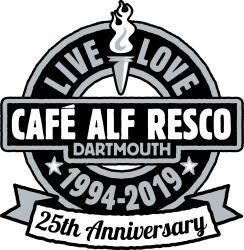 With continued success over the past seven years, Cafe Alf Resco in Dartmouth are once again supporting Respect the Aged Day. 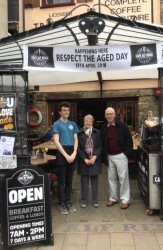 This important community event on Tuesday 9th April, will be celebrated by Kate and the crew by offering all Octogenarians a complimentary breakfast at Alf's between 7am and 2pm.